Nina is, in effect, the Siri you can build into your apps. The SDK will include access to Nina's core APIs, including those that hook up to the the platform's core cloud services like speech recognition, text to speech, and Natural Language Understanding (NLU). 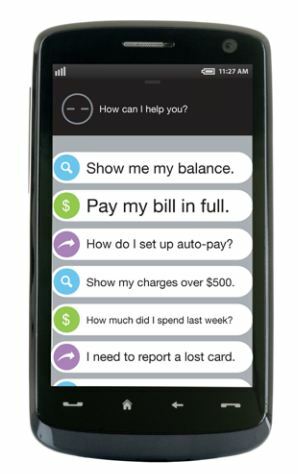 USAA, a popular U.S. military credit union, financial services provider and insurance company, has partnered with Nuance to be the first service to market with a Nina Virtual Assistant-enhanced mobile banking app. "USAA’s innovative solutions are designed to make life easier for our highly mobile military service members, and increasingly for all members who now expect to get things done when, where and how they want," said Neff Hudson, assistant vice president of emerging channels for USAA. "We believe that the virtual assistant has tremendous potential to make it simpler, faster and more satisfying for our members to manage their financial affairs on their mobile devices." "Nina is a watershed innovation for the automated customer service industry, not only because it brings the virtual assistant directly into an app, but because it raises the bar through its level of interactive dialog and language understanding," said Robert Weideman, executive vice president and general manager of the Nuance Enterprise Division. "Nina provides our customers a major competitive differentiator by enabling more successful self-service through their mobile apps. We are especially pleased to further our partnership with USAA, a company known for its innovation and approach to delivering a premier mobile customer service experience to its members." The Nina Virtual Assistant SDK and cloud service is now available from Nuance in the United States, British, and Australian English. Additional languages are to be made available later this year.